A greeting card adorned with little pieces of the past; nostalgic finds from your grandmother’s dressing table, sewing box or writing desk. 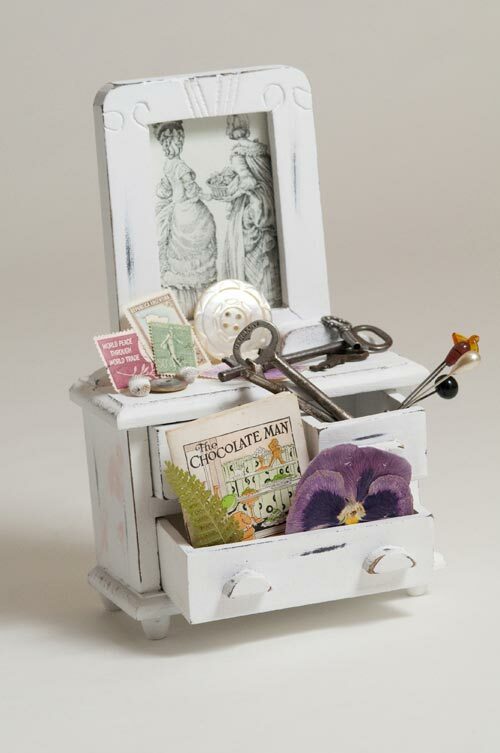 Hatpins, needle cases, postage stamps & keys – all become treasures to be admired on a greeting card. 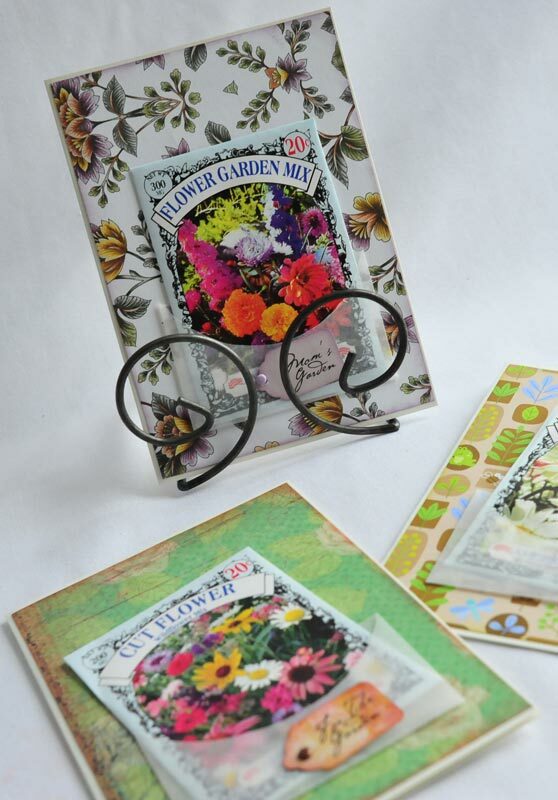 Surprise mom, friends or a teacher with a seed packet or teabag card, featuring popular garden flowers, and individual teabags ~ oh so different!